A newsletter is still valuable after it has been sent. 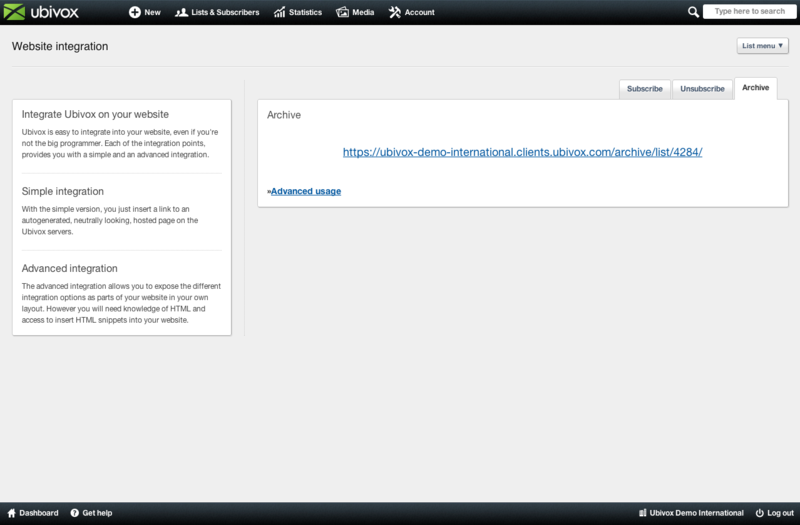 Ubivox gives you the option to insert an archive with previous newsletters on your website, which will update automatically when archiving sent newsletters. 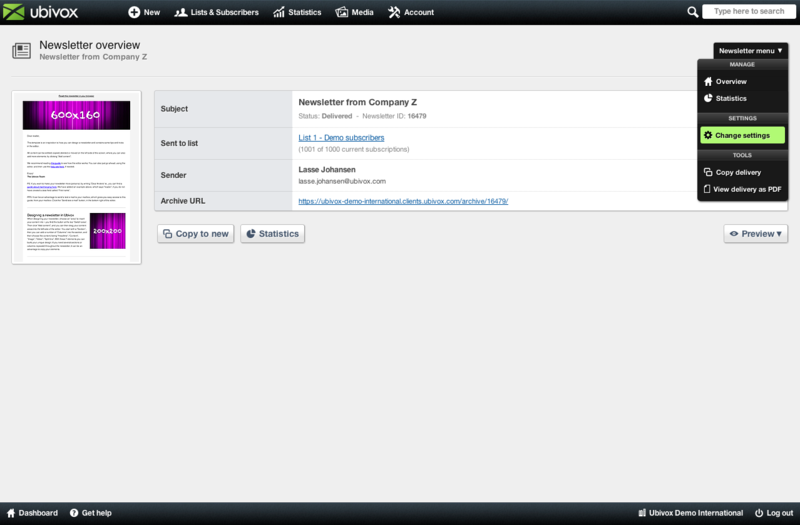 Click on the list name from the dashboard, here named List 1 - Demo subscribers. 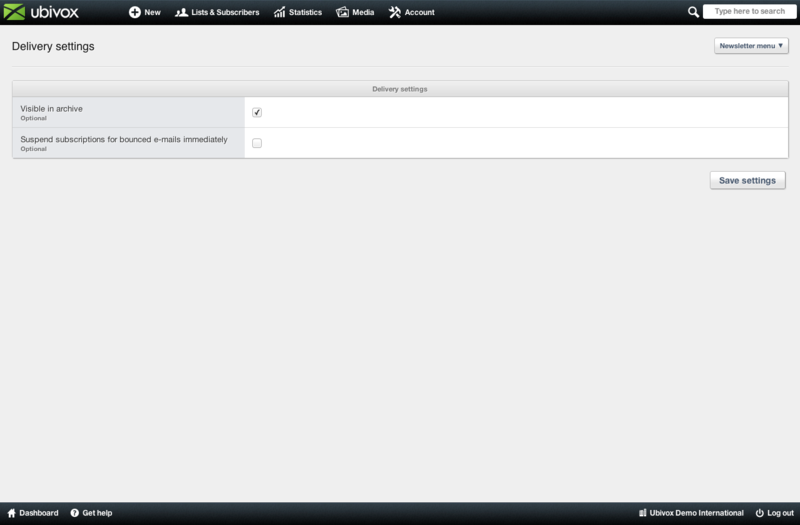 Then go to the List menu -> Website integration. Here you can choose the tab Archive. 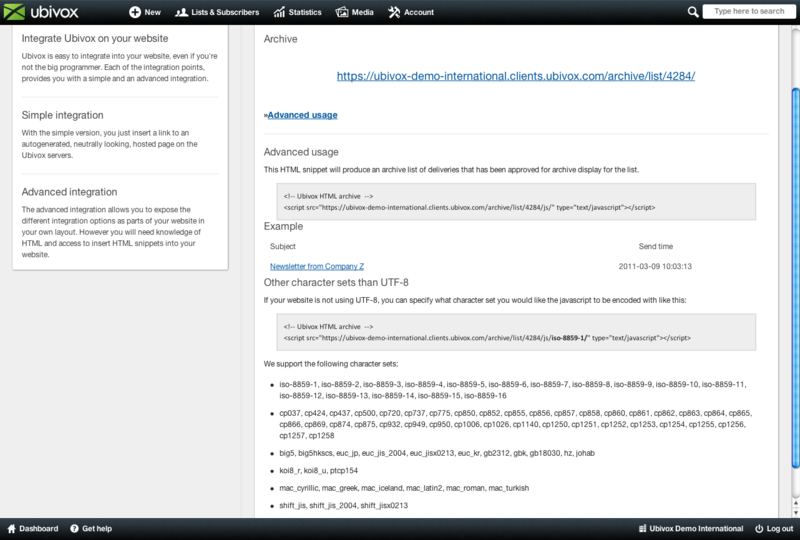 The default Ubivox link can be used, which leads the subscriber to the following generic page. 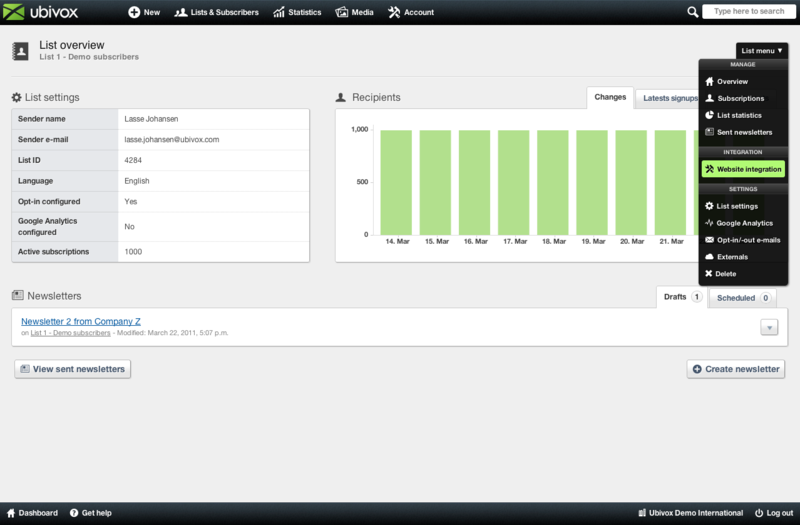 The design will depend on the theme on the website. 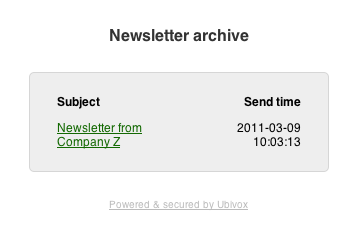 When a newsletter has been sent, you have to archive it manually, in order to make it appear in the archive. This is a safety precaution, to prevent internal tests, invitations etc. to show up in the archive. Click on the newsletter, found in Latest deliveries on the dashboard. 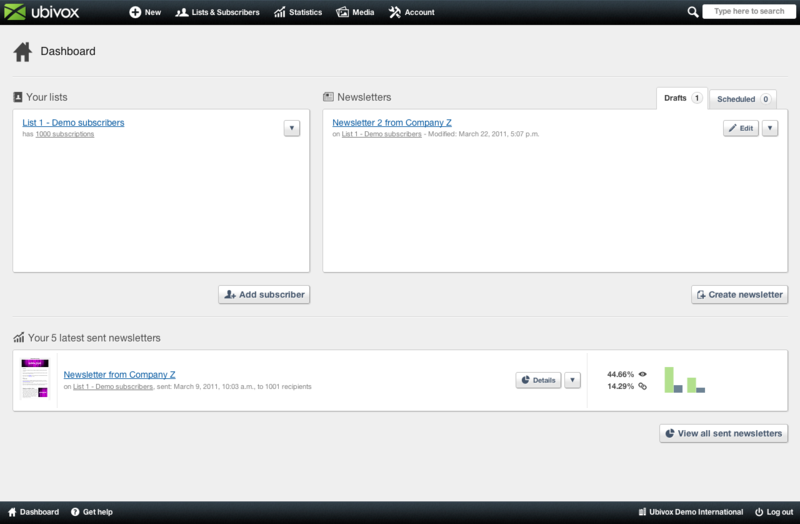 The newsletter will now appear in the archive.